The ministry of Samuel Howells and the Bible College of Wales (BCW) have touched the lives of countless numbers of people all over the world. 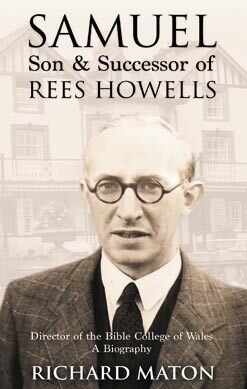 The author invites us on a lifelong journey with Samuel Howells, to unveil his ministry at the College, life of prayer and the support he received from numerous staff, students and visitors, as the history of the Bible College of Wales unfolds alongside the Vision to reach Every Creature with the Gospel. In 1950, Samuel Howells became Director of BCW when his father Rees Howells was taken into glory and he led the work for the next fifty-two years; living a life of faith and intercession. Samuel Howells lived through a time of tumultuous change in the world, and oversaw the work of the Bible College and Emmanuel Grammar School as it sailed through six challenging decades. Filled with more than 110 B&W photographs, with many from the time of Rees Howells, this biography remains as a historical record of the life of a great man of God, Samuel Howells, the Director of BCW, its four estates, school, and its worldwide ministry. An in-depth look at the intercessions of Samuel Howells is also available in the book Samuel Rees Howells: A Life of Intercession. Go. Richard Maton worked under Samuel Howells' ministry for forty-seven years and provides us with a firsthand account of Samuel�s life and the inner workings of BCW, with its staff and friends. 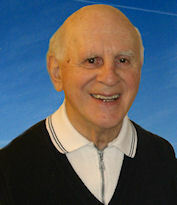 Richard was converted under the preaching of Dr. Martyn Lloyd-Jones and was called to the Bible College of Wales in 1956 after hearing Leonard Ravenhill preaching at BCW. He has served in various roles as teacher (Emmanuel Grammar School), lecturer, dean, trustee and Principal of the College and worked closely alongside Samuel for more than twenty years. Richard is married to Kristine. Kristine Maton joined the College family in 1936, when her parents sold all to work when Rees Howells was the Director. She grew-up at the College during the war years, and later joined the School staff, taking various roles including becoming Head Teacher. Kristine has laboured extensively with her husband Richard on this book, providing valuable insights, including personal memories from the prayers of Rees Howells, to the many decades of the ministry of Samuel Howells.